Purchasing homeowner’s insurance can get confusing, and at Joy Insurance Agency we understand this. Although you are not legally required to purchase home insurance as you are with car insurance, many mortgage companies are requiring it as part of their finance agreements with home owners. If you are faced with the sometimes daunting task of shopping for homeowner’s insurance, don’t fret! Joy Insurance Agency is an independent insurance agency that can shop multiple carriers to get you the best home insurance policy available to you! The needs of every home owner are different and your home insurance policy should reflect that. 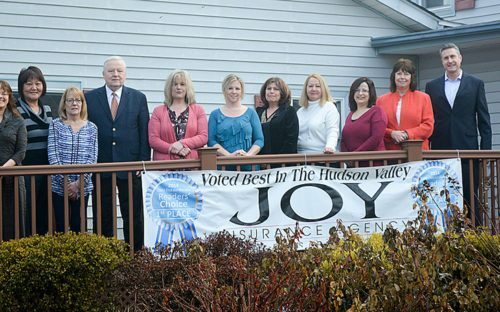 The agents at Joy Insurance Agency will create a homeowner’s insurance policy that will best suit you and your family. Contact us today for more information on our comprehensive homeowner’s insurance policy options. Fill out our quick and simple form for a free home insurance quote! If you're renting out part or all of your house you should talk to us about Dwelling Fire Insurance. This is specifically designed to protect landlords from losing rental income as the result of a fire. In most cases, this coverage will provide you with a year’s worth of rental income, allowing you the time and resources to rebuild and rent.